TANA holds community silkscreen printing workshops for community youth and residents. The workshops are focused on encouraging the exploration and representation of culture as a means to empower and encourage self-determination. 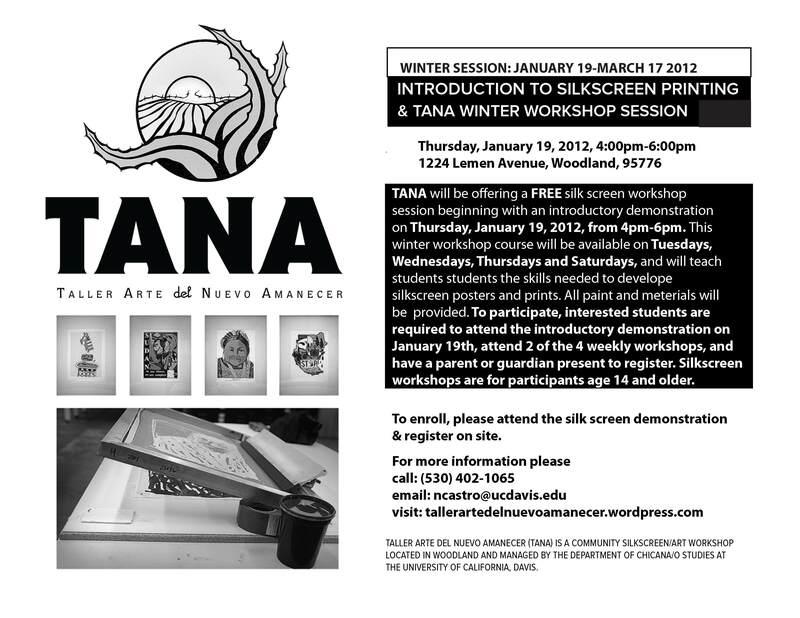 For anyone interested in participating in the Fall Session please attend the Introductory Silkscreen Demonstration that will be held at TANA on Thursday, January 19th.